Grey, sad November. 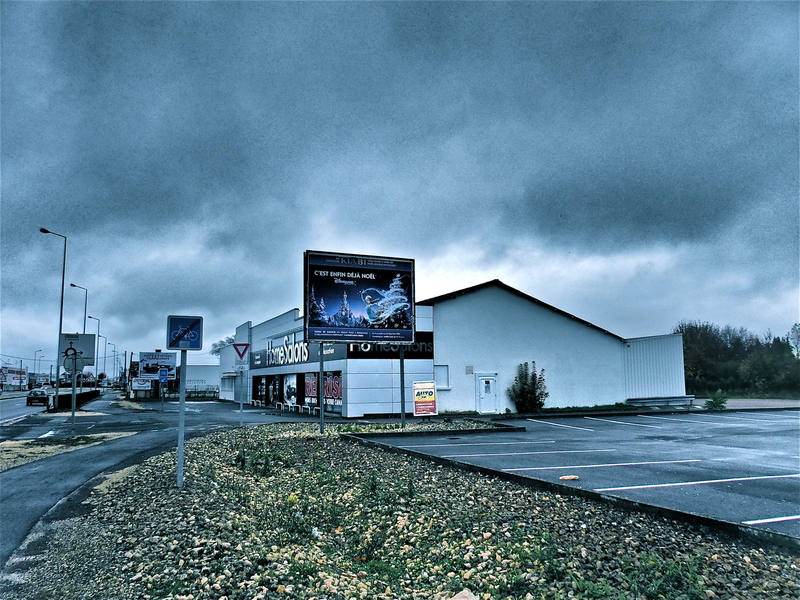 When the rest of the world is shopping for Christmas, in France the shops are closed – It is Sunday, a bloody miserable Sunday, just the day you might like to walk around shops for consumer comfort in these grey times – here two snaps from a local shopping heartland this afternoon. It’s dead, like November. 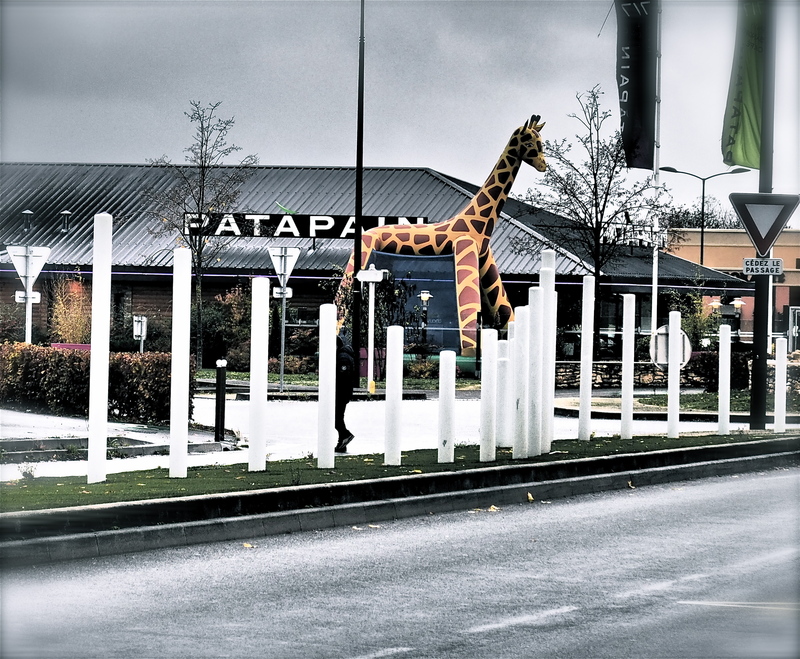 Posted in Bourges, deepest france, drifting, Shopping, Small town, Weekend and tagged Bourges, Edgelands, shopping; Sunday. Bookmark the permalink.